It's almost unavoidable. In order to make that family ski vacation a reality, you're likely going to be traveling while the kids are out of school. That means you might be skiing during peak crowds when everyone else is off, too. We've outlined the best and worst times to ski, but peak times generally include the week from Christmas to New Years, Martin Luther King weekend, and the Friday through Monday of President’s Day weekend. Yes, you can expect bigger crowds during those times and on any weekend, both on and off the mountain. But there is plenty you can do to beat the crowds — even when you're skiing during peak times. 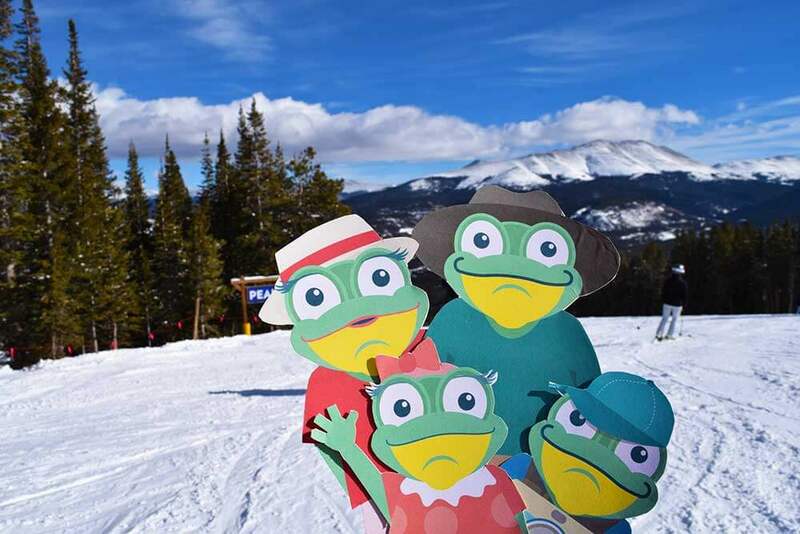 We frogs recently returned from a hoppin’ good trip to Colorado. We visited during the busy December holiday during and just after the first big dumping of fresh powder. We learned a few things from our journey of skiing at four different resorts during that busy holiday week. You can follow these tips for skiing during peak times, so you can escape the masses and still have a lot of fun. 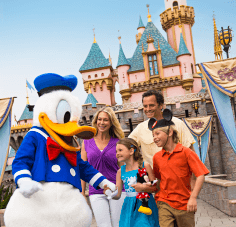 Keep in mind that even if you plan to visit at another time, you still might encounter unexpected crowds. Besides holidays and weekends, there are other factors that can lead to larger crowds, so these tips can come in handy really any time during the season. Competitions, festivals or a particularly epic snowfall can cause more people to flock to a mountain. Conversely, bad weather may cause a large section of mountain to be closed. With skiers and snowboarders concentrated in a much smaller area, it can seem more crowded. Here’s how to maximize your time and money (and stay safe) when skiing during peak crowds. 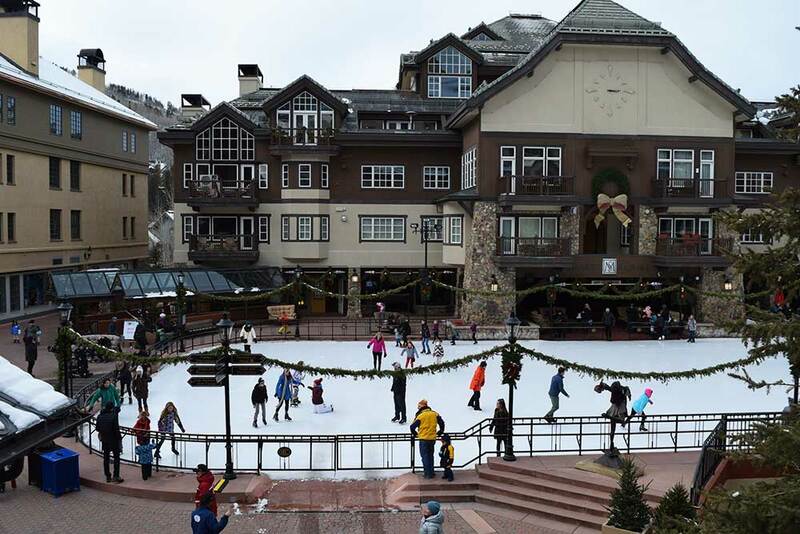 One of the best ways to manage your trip is to choose a great family ski resort. You’ll want a resort that offers plenty of runs and lifts with terrain that suits your ability. You’ll want options! 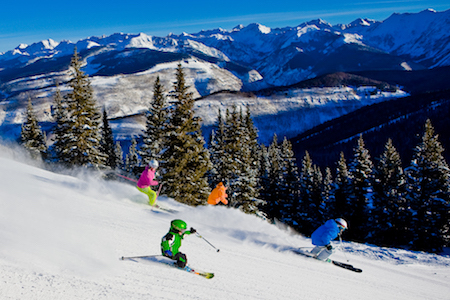 Resorts such as Breckenridge, Beaver Creek, Keystone, Aspen and Northstar have plenty of green and blue runs. You will also want a resort of a decent size, so there is more space for people to spread out. 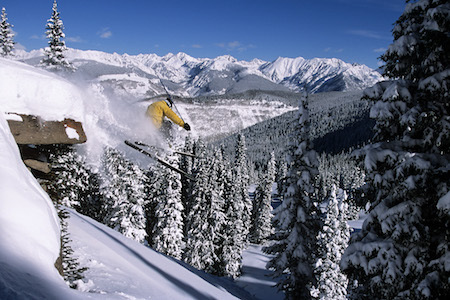 Large ski resorts such as Park City, Vail, Heavenly or Squaw Valley are enormous ski resorts with terrain for everybody. 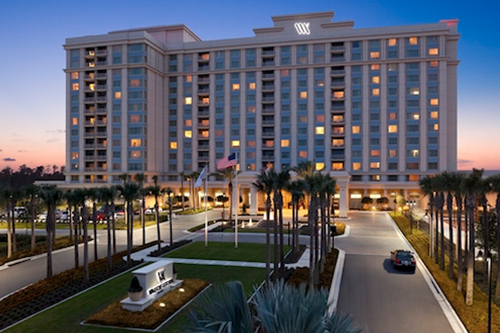 Even during peak times, the crowds have room to disperse at a large resort. Plus, find a resort that has plenty to do off the mountain. Are there nearby tubing hills, ice rinks and places to hang out or warm up? Is there a village or walking district with shops and restaurants? Are there other family winter sports and fun family activities available? It’s always a good time to book that next ski vacation. The earlier you reserve, the better deals you may score. You might get some kids ski free deals or other perks. You will also have your pick of lodging. The later you wait, the fewer choices you will have. That may mean ending up in lodging with a more, errr … “vintage” feel or have a longer distance to travel to get to a lift each day. If you want modern ski-in/ski-out accommodations with certain amenities (like a pool or maybe ski valet), book your ski hotel as early as you can. Peak season means peak prices at the ticket counter. 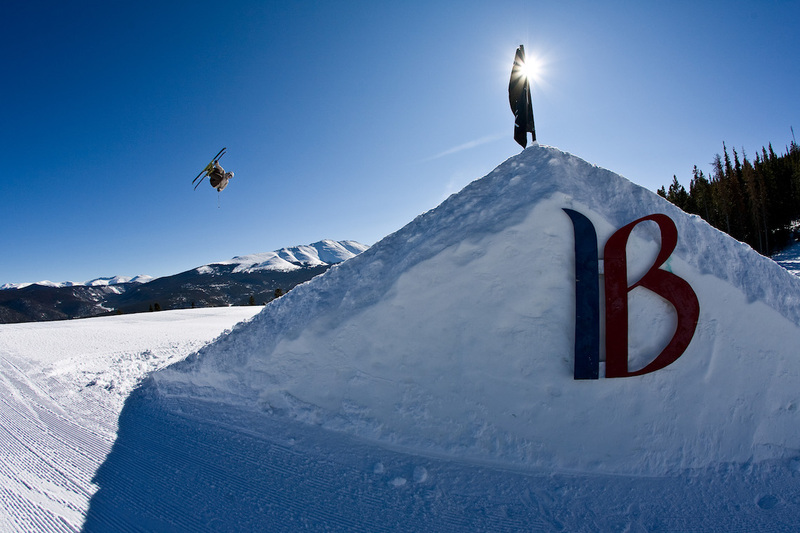 Save yourself the lift ticket line and a lot of money by reserving your lift tickets or multi-day passes in advance. Undercover Tourist is currently selling hoppin’ deals on discount lift tickets at Vail, Beaver Creek, Breckenridge, Keystone, Park City, Heavenly, Kirkwood and Northstar when you package with your hotel. 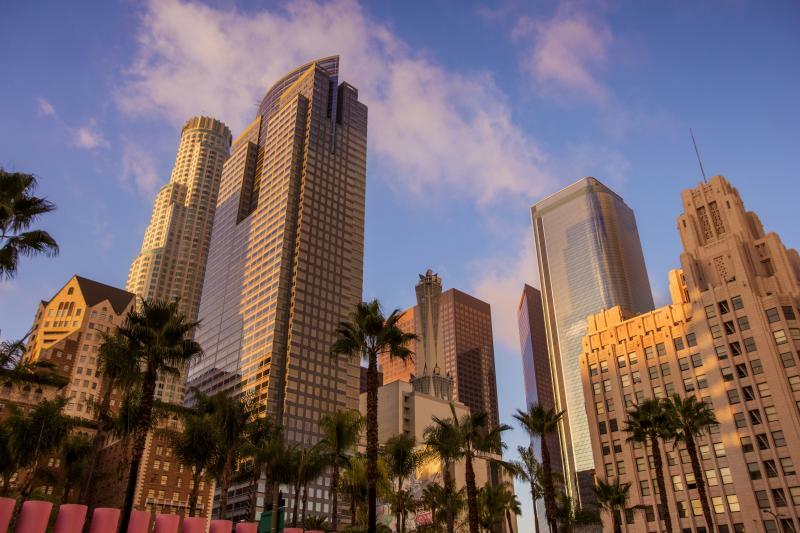 If you are looking way ahead, you can find deals in spring, summer and fall leading up to the next season. For example, before the current season got underway, Undercover Tourist sold Epic Passes that are good at any of the above resorts without any blackout dates. Be aware that some of the resort multi-day passes purchased elsewhere can block out peak ski periods for popular resorts such as Vail and Beaver Creek. So buy in advance, and make sure that your tickets are good at the resorts you want, when you want. Once next season’s Epic passes are available, be ready to spring for the opportunity to save on future trips. One of the best things about ski lessons is that they allow you to skip the lift lines. So booking ski lessons for some of the most popular ski days can mean getting in more runs, while simultaneously working on important skills. 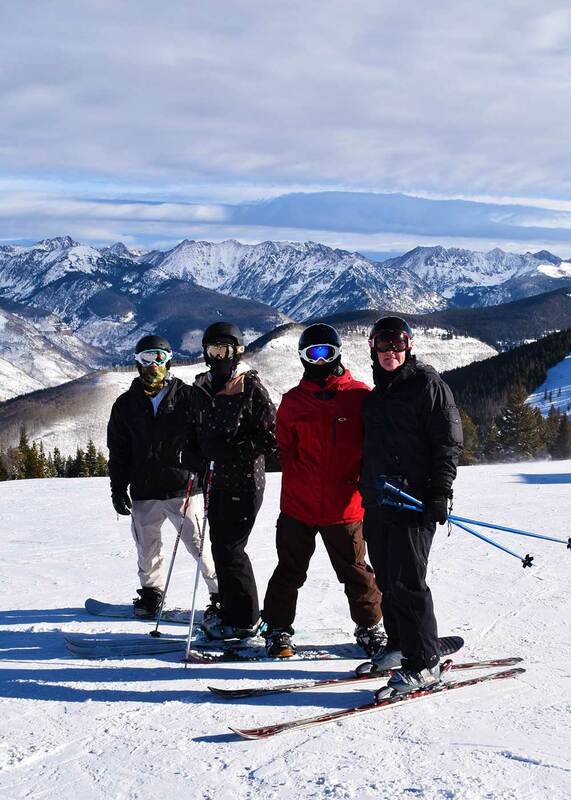 At some ski resorts (such as Breckenridge), a child’s group lesson, rental, lunch and lift ticket combined does not cost much more than a lift ticket on its own. So do your research and find the best deal that also gets you and your family up the mountain much faster. If you have a longer trip, you might be choosing to ski some days and take a day off from skiing here and there. If you ski the lighter crowd days and rest or do other activities off the mountain on more crowded days, you may not even notice the crowds as much. We have found that Christmas Day (especially Christmas morning) is lighter than the other days. Then the days after Christmas as New Year's Day approaches can become extremely crowded. New Year's Day morning is generally going to be lighter than other surrounding mornings because the partiers will still be sleeping it off. Other factors can affect the flow of people, such as the days of the week that the holidays fall on and weather or snow conditions. Great snow will bring locals out in addition to holiday travelers, crowds and all. All those extra skiers on the mountain means that you’ll find more people at area restaurants and recreation areas. Scout out some restaurants and make a reservation if you want to dine out. If you want to go tubing, cross-country skiing or on a horse-drawn sleigh ride, reserve your time slot well in advance. On our recent trip to Breckenridge, all the daily tubing sessions at the Frisco Adventure Park were full many days in a row during the week between Christmas and New Year's. You could only tube if you had made an advance reservation. So book before your trip to make sure you don’t miss out. You do not want to see the look of disappointment on your froglets’ faces when they find out that they can’t go tubing because you did not plan ahead when skiing during peak times. We have a saying around here at the pond that the early frog gets the flies. At a ski resort, the early bird gets the parking, shortest lift lines and the least crowded skiing. Try to arrive at the resort about 30 minutes before the lifts open for the lightest morning crowds. Generally, you will find the shortest lift lines and least crowded runs during the first two hours of morning skiing and the last two hours of skiing each day. Get a jump on everyone else by arriving early and moving away from the main base area if you can. 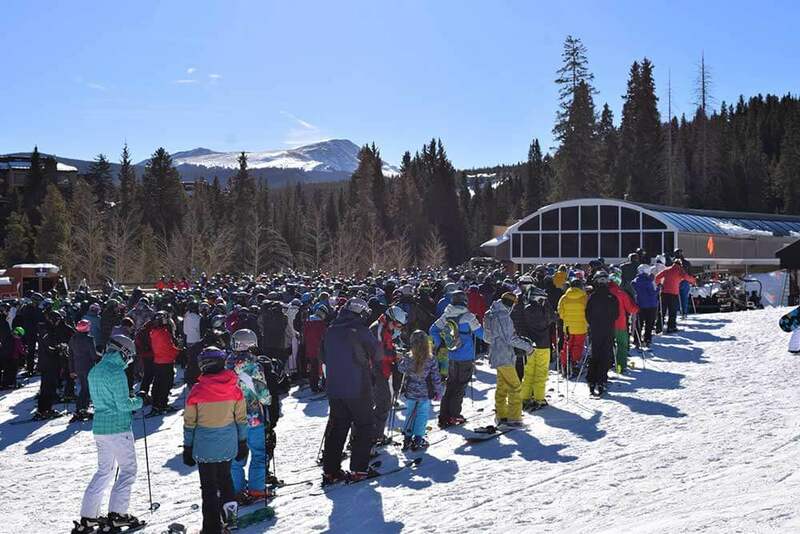 Some resorts such as Steamboat and Breckenridge sell an upgraded First Tracks lift ticket, which gives those ticket holders an early start at the mountain before the lifts open to everyone else. That can mean accessing untouched fresh snow and early access to lifts away from the crowds. Aspen offers first tracks to guests who reserve in advance. You can also avoid restaurant crowds if your accommodations come with a kitchen. This also saves a lot of money on a family ski trip. Recently, at Breckenridge, my lunch at the lodge included a bowl of chili, a cup of fruit and a water for $30. If you cook your own chili, you can feed a family of four for at least two meals for less than that. That’s over eight meals for the price of one! If you have ski-in/ski-out access, hop back home for lunch. We are fans of one-pot meals while skiing — chilis, stews and soups — to warm us up and give us good energy for skiing. Plus they make for tasty and easy leftovers. But we also find that a simple sandwich does the trick, too! Longer lift lines may mean bigger crowds at the lodges and restaurants when skiing during peak times. One strategy on crowded days if you can’t go back to your lodging is to bring some snacks or a sandwich in a pocket. (This saves money and time!) Stop for lunch (whether you are buying or snacking on your own food) and rest your tired legs at a mid-mountain lodge away from the main base early, such as 11:00 a.m., before the large lunch rush. Then you can ski while other people leave the lines to dine. Many skiers finish up skiing mid-afternoon, so try to take advantage of less-crowded later runs after others have finished skiing for the day. If you are skiing during peak times and you come across a short lift line, stay nearby and ski back to it. Even if the lift is not super long, or is an older, slower lift, if you like the terrain, stay in that area. Let the rest of the crowd wait at the bottom for a longer chair. The nice thing about an old double or triple chair is that they do not have a lot of uphill capacity. They will put fewer bodies on the runs than a high-speed, six-person chair or gondola. So stick to your secret chair for a few runs, because taking four short runs by yourself trumps standing in an hour lift line with hundreds of people when skiing during peak times. 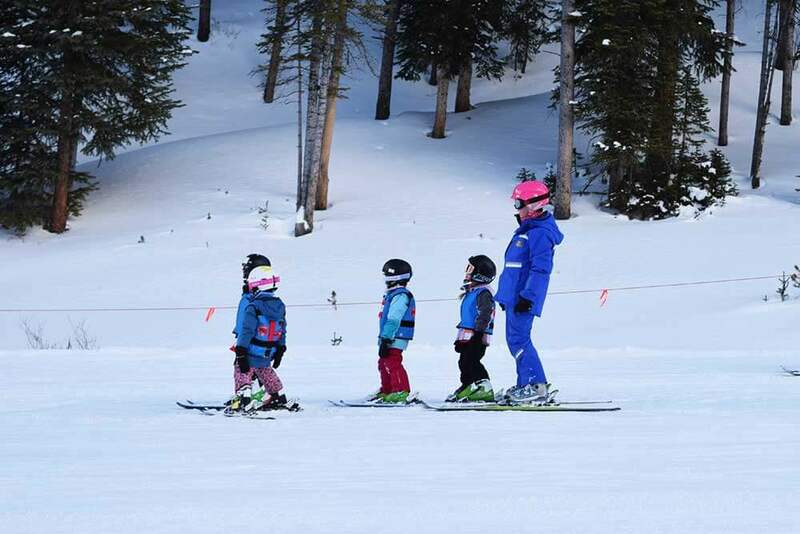 It’s always important to use good skiing manners, but family ski safety is especially important when skiing during peak times so you can avoid collisions and accidents. Always be aware of people below you. Do not stop in the middle of a run. If you need a rest or are stopping to wait for someone, try to stop on the side of a run and check for skiers up the hill from you so you do not stop in their path or cut them off. Do not stop in an area where uphill skiers cannot see you from above. Use caution in areas in which multiple runs funnel into one run, because you are more likely to encounter people with varying skills in a narrow space. You might have faster, straighter skiers in the same area as beginners who are taking it slowly back and forth across the run. Some resorts such as Breckenridge and Vail have employees out there monitoring speed in these slower areas to protect those newer skiers and keep everyone safe. People who ski too fast in a slow zone may get warnings or even have their lift revoked. So follow the signs and play it safe when skiing during peak times! 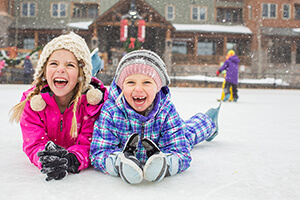 Whether you are traveling during the holidays or weekend — or hoppen to be at a crowded ski resort — these 10 tips for skiing during peak times, will help you to navigate the mountain and maximize your family vacation. 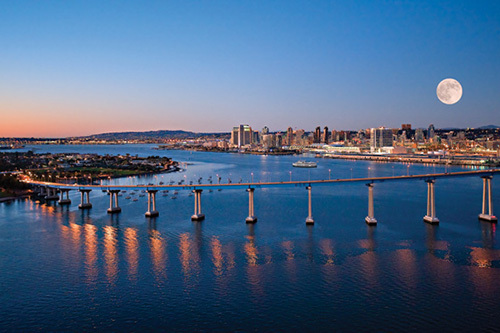 Do your research on the resort and surrounding area before your trip and you will be prepared for the journey. Still need a ski hotel, rental car or lift tickets for your trip? Undercover Tourist has some hoppin’ deals to help you save big at many popular family ski resorts! Related: When Is the Best Time to Book a Ski Vacation? Great advice! We just came back from Breck and realized quickly that Sat was not ideal for lines, even though it wasn't a peak weekend. Love all of these tips! Another one to add... rent skiis the evening before if possible, or right at opening to avoid rental lines. Thanks for sharing!